Give a Hug, Get a Hug! 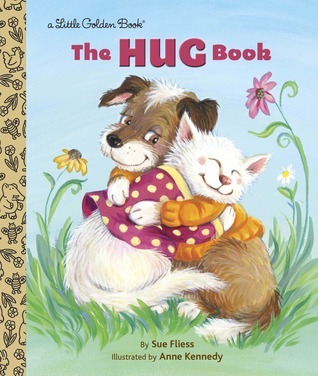 Brand-new rhyming book… Animal families and friends share hugs from morning to night. 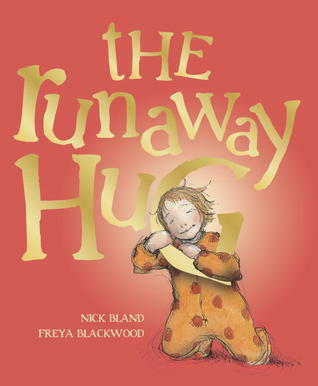 There are morning hugs, nice to see you hugs, sweep you off your feet hugs, thanks for stopping by hugs, hard to say goodbye hugs, welcome home hugs, travel down the hall hugs, and tucking you in tight hugs. Little Bunny has a busy day. 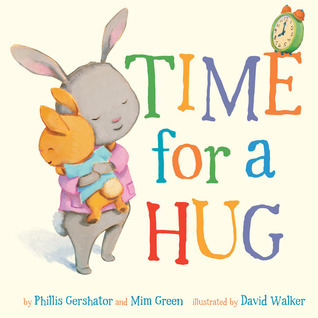 He watches the clock and every time he asks ‘what time is it’, it’s always time for a hug. His morning starts at 8:00 with breakfast and gets a hug at 9:00 and 10:00 too. He makes a pie with his mom, makes sock puppets, and a city of blocks. 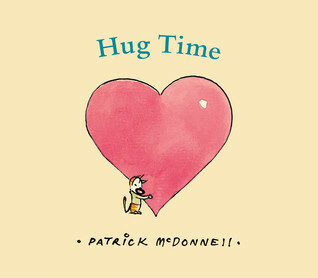 He reads a book and then it’s time for another hug! At 1:00 he bounces a ball, rides a bike, climbs a tree, and chases a bug. Then it’s hug time again. Before long it’s 8:00 again and it’s time for bed. He brushes his teeth, takes a bath, hops into bed. And finally it’s time for one last hug! Duck is sad. He needs a hug. But before he can tell his friends what he needs, they all suggest other things to cheer him up. Hide-and-seek? Tag? Standing on your head? Splashing in a puddle? A song? 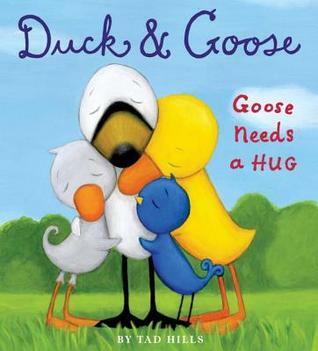 Finally Duck tells his friends he needs a hug. “Why didn’t you say so?” they cry. And everyone gives Duck a huge hug! Just before she goes to bed, Lucy gets mommy’s very last hug and promises to give it back. But before she gives it back, Lucy runs around the house giving away and getting back mommy’s very last hug. Each time she gives it away, she gets it back twice a good as it was originally. Finally, as she climbs under the covers, Mommy comes into Lucy’s room to collect her hug. Lucy gives her a very sleep hug and asks for a kiss good-night. It’s a good thing Mommy has plenty of those. Jules the kitten wants to hug everyone to help make the world a better place. He starts with his friends, the birds in the park, a butterfly, and a little gray squirrel. Then he takes a ship across the ocean. He hugs a blue whale, and when he arrives in Africa he hugs an elephant, a chimpanzee, and a giraffe. He even found a new species and hugged it too. In India he hugged a tiger. He went completely around the world hugging a gnu, a panda, a peacock, a wallaby and a wombat. But at the North Pole he couldn’t find anyone to hug, until a polar bear found him. Finally he went back home and gave Doozy a great big hug.